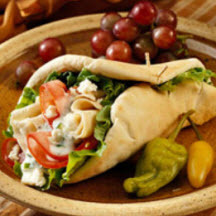 CooksRecipes has quality, kitchen-tested recipes for a variety of pita and pocket-style sandwiches that you can count on for successful deliciousness. 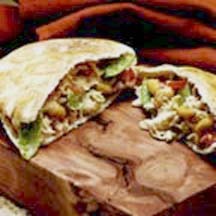 For a tasty change of pace, pack these flavorful and healthy pita pocket sandwiches in school (or work) brown bag lunches. 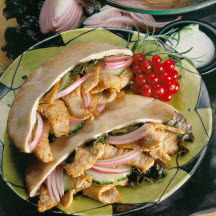 A very hot oven quickly creates crisp pork strips for this gyros-style sandwich. When it's too hot to cook, try this refreshing sandwich for a delicious and satisfying light meal.